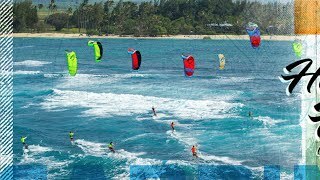 Cabrinha Kitesurfing reflect on how the year 2015 went down in this epic video that showcases the highlights of the year as the team travel to some of the best kiteboarding spots around the world! Cabrinha note Liam Whaley’s charge at the VKWC tour claiming the Men’s Freestyle Champion title, Keahi de Aboitz once again taking the crown in the Surf category of the tour, and Nick Jacobsen and the rest of the gang making extraordinary waves in the media and across the globe. 15 Minutes of EPIC Kiteboardin..
Road Trippin' with Andy Yates:..